Ends Summer vacations for the kids and also their favorite fruit MANGO. This year onwards my son comes back from school in the evenings. And such a tiring day for him to get adjusted to this timing especially after such a long summer break. Just to make him feel good, I did this Mango Popsicles for him and he was so delighted to see them and then ATTACK!!! 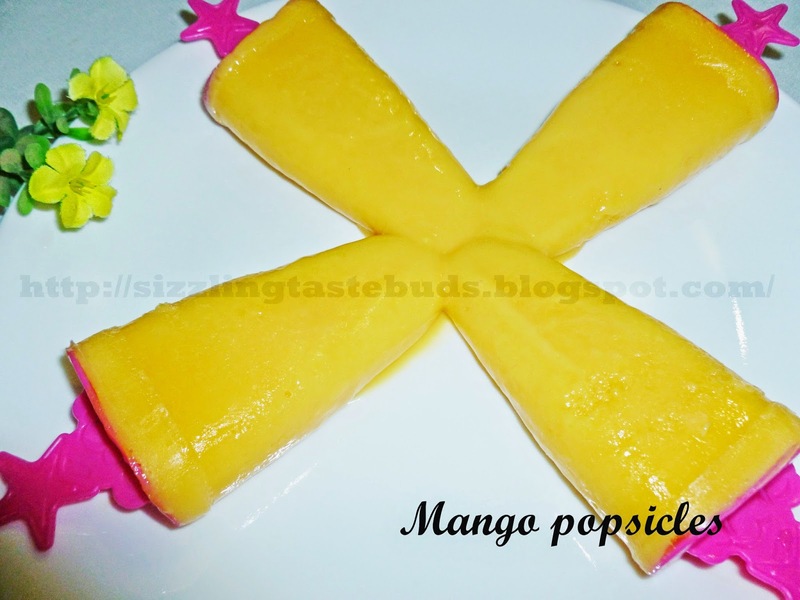 I didn't try out any different method for this lovely Mango Popsicles. Its the Mango Milkshake which I prepared the previous day by blending all the above ingredients in a blender and then shifting the extras into the moulds and freeze them so that my kid can enjoy whenever he feels like.